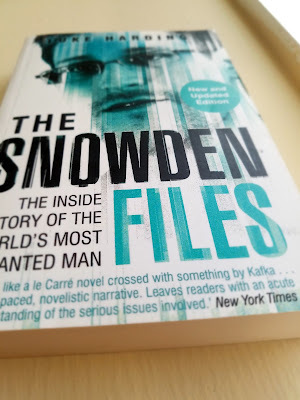 The ‘novel-like’ book (by Luke Hardening) tells the real life events and the story of an American contractor who worked for the top spying agency in the world, NSA (National Security Agency) and manages to leak thousands of highly confidential documents to the press and public. 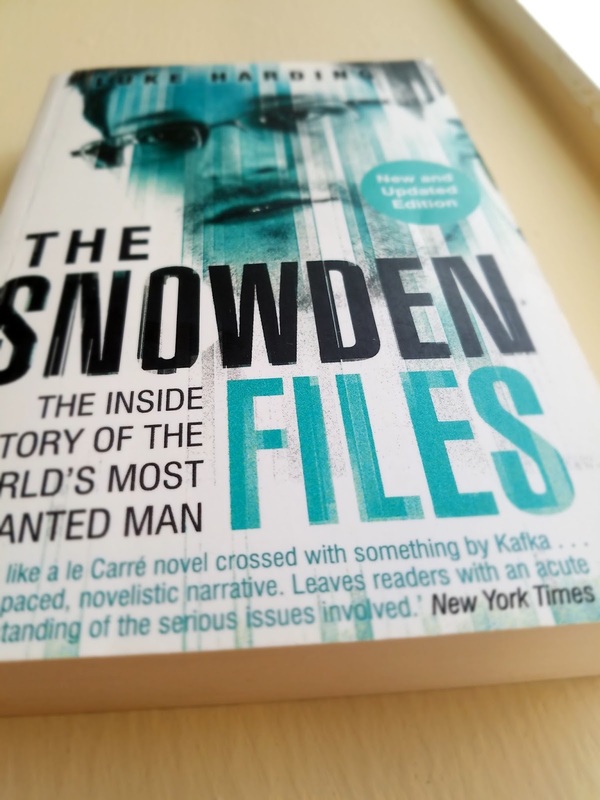 The Snowden Files consists of 14 chapters, including a prologue and an epilogue, in addition to a bonus chapter “A Year On” which is included in the “New and Updated Edition” which I recently bought at the Abu Dhabi International Book Fair in April 2017. I would start by pointing out one of the drawbacks that affect this book: the order of the chapters and the way the whole book is structured. The chapters of the book interrupt the sequence of the story and weaken its powerful content. The fact that each chapter could actually stands alone as a long article or as a short story made me disconnected in some ways from the antagonist and the main characters. It distracted my attention from important details and I was struggling to follow the main plot. The story is thrilling, shocking and ironic. Edward Sonwden’s bravery to leak documents is labeled as “top secret.” The sacrifice he made – giving up his life for a reason he believed to be very sacred which is the freedom of American people – is something unique, exceptional and inspirational. Furthermore, the author’s personal view about Snowden’s personality and his real motive behind the major leaks of thousands of top classified documents was made clear to me as a reader. Luke Hardening seemed consistent and objective in his opinion and showed no apparent bias. He gave a solid background of Edward Snowden’s life and covered most of his its stages (I can’t verify whether he omitted anything of significant, though. After all, why would he?) Moreover, it was thrilling to know that Edward was not actually looking for money or fame by risking his life to such an extent. What he has done was so sublime and unique. He courageously exposed the wrong-doings of his government/ employer: spying on the lives of ordinary people on a daily basis, knowing that such move (i.e. leaking the files to the press) could end his freedom for a long time, or even worse, for a life time. Nevertheless, I should not exclude the probability that this story is a mere fiction. Edward Snowden could be a foreign spy and was simply moved remotely by a foreign country receiving instructions on what to do or not to do. Everything is possible. Anyhow, in my opinion, the book inspires the sense of responsibility of individuals to act against any wrong-doings not only for our own sake or that of the nation, but also for our own people and the people of the world. I believe as well that Snowden, unconsciously, raised a flag on the issue of internet-illiteracy not only among the ordinary citizens but also the government elites. In a world where people spend lot of time surfing the net and living a virtual life, issues like privacy and data protection must be raised and awareness-raising campaign should be organized. I enjoyed the dedication and the hard work of the journalists that helped Snowden to release some of his leaked files into public. They’ve endured a lot of difficulties in studying the documents ensuring to publish the stories that won’t hurt “anyone” within the investigation agencies; i.e. NSA/ GCHQ. These journalists have focused on the issues of public interests such as privacy, freedom of surfing the internet, freedom of the press, anti-terrorism laws, etc. Despite the fact that the book is a bit ‘American’ in the sense that it might interest only the American reader, it has an international flavor that engaged me to finish it and consider re-reading it as well. In the end, the leaking of the files by Snowden stirred a debate not only in the USA or the UK, which are directly affected by these leaks, but also major countries like Germany, France and many others. The book deserves three stars out of five. I would definitely recommend it to whoever is interested in the American affairs and the life of secret investigation agencies and spies.